The first Ironman of 2013, Ironman 70.3 Pucon, saw 830 triathletes complete the race in an average finish time of 5 hours, 59 minutes. 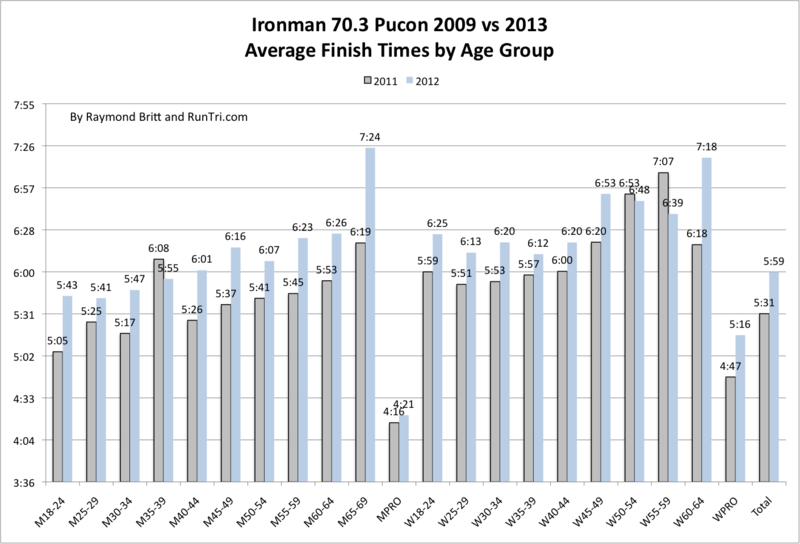 The Pucon course has been faster in the past; the 2009 race averaged 5 hours, 31 minutes. 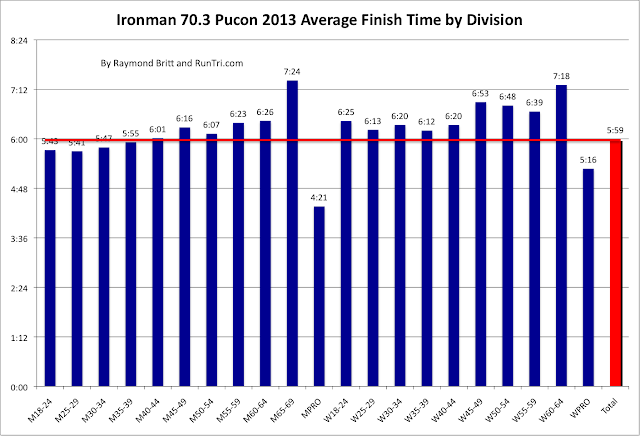 If the race was tougher in 2013, Pucon's results still put it at almost the exact average time it takes to finish the typical half ironman: 6 hours. 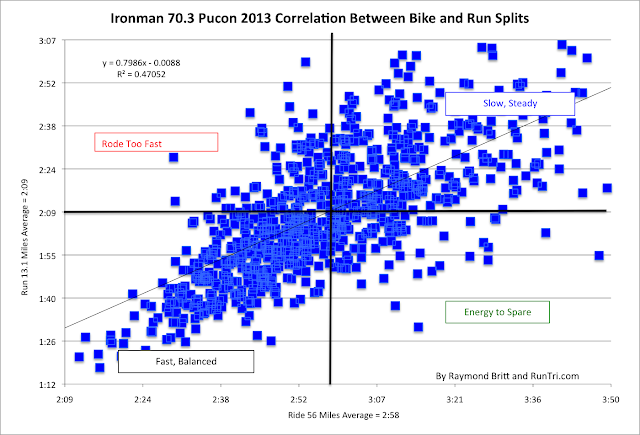 Our results analysis below compares Pucon finishers by time, by split, by age group and vs. 2009 results. 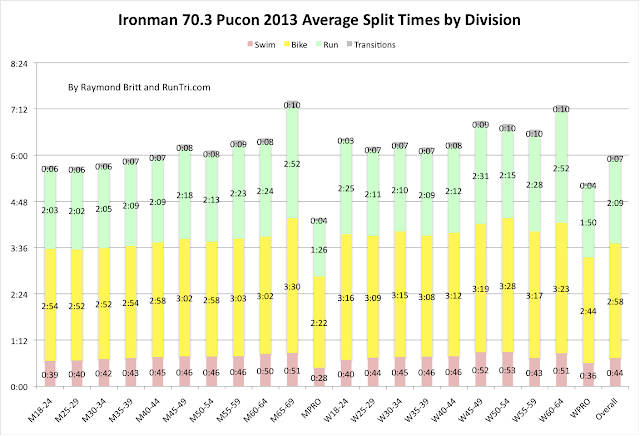 For more, see RunTri's Toughest Half Ironman Races, and our comprehensive archive of race results analysis and stats. 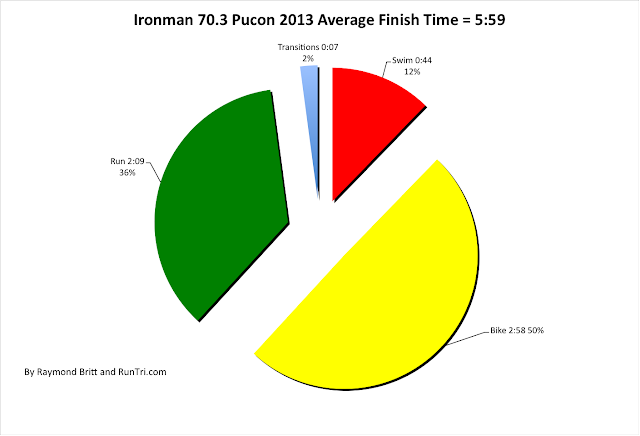 For everything else, see our site map/index.